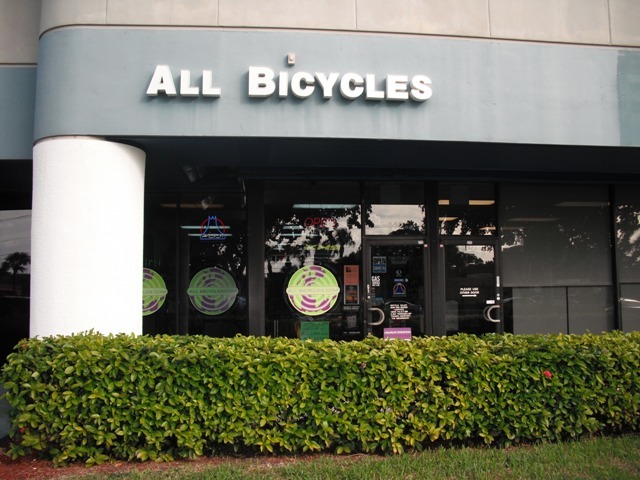 All Bicycles is not a parts house, you won't see a shelf of assorted parts and accessories, waiting to be sold. Rich Cohen will help you get exactly what you are looking for, every time. Sales at All Bicycles occur through conversation and consultative time spent with the cyclist. Rich will work with you to determine exactly what you need, and within 2-3 days, the exact right piece will arrive, giving you years of pleasure. Based on many years of experience riding, selling, building and customizing bicycles Rich Cohen recommends the following manufacturers and product lines. Give Rich a call or send him an e-mail to get started! Special orders aren't a problem at All Bicycles, they are what Rich does every day! Bonk Bars are the official energy bar of the Ironman Triathlon Series! Bonk Breaker energy and high protein bars fuel top professional, Olympic, and elite level teams and athletes around the world. But they're the fuel of choice for weekend warriors and families too! They combine great flavors with simple, fresh ingredients and the lineup includes 10 unique bar flavors. Bonk Breakers are baked fresh every week, and all their bars are Gluten Free, Dairy Free, and Soy Free with ingredients you can pronounce and that your body will recognize.